Removes make up. Creamy and soothing milk with Northern Oat and Linden Flower cleanses gently and effectively. Helps maintain the skin’s moisture barrier. Skin feels soft, supple and comfortably clean, never dry. Suitable for use around the eyes. 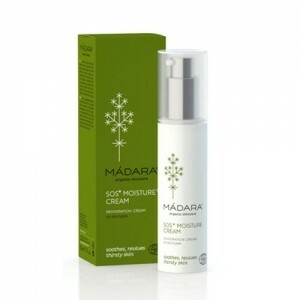 Great for all skin types but especially helpful for dry and ageing skin. 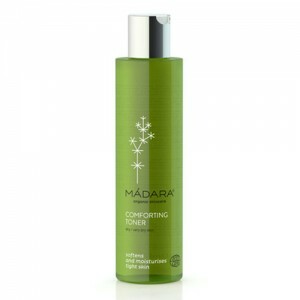 Organic delicate cleansing milk removes make up, and gently cleanses the skin without causing dryness and irritation. Aqua Helianthus Annuus (Sunflower) Seed Oil* Alcohol Polyglyceryl-3 Methylglucose Distearate Glycerin*** Glyceryl Stearate Tilia Cordata (Linden) Flower Extract* Avena Sativa (Oat) Kernel Extract* Plantago Major (Plantain) Leaf Extract* "Calendula Officinalis (Calendula) Flower Extract*" Cetearyl Alcohol, CI 77891 (Titanium Dioxide) Tocopherol Ascorbyl Palmitate Sodium Phytate Potassium Hydroxide Aroma** Citronellol** Geraniol**. * Ingredients from organic farming, ** Natural essential oils.